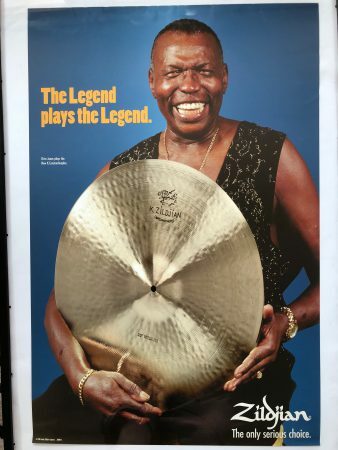 This is an original Zildjian promotional poster, personally collected by Elvin Jones. Elvin was the Zildjian’s top endorser of their K. Zildjian cymbal line. Excellent condition. Acquired directly from Elvin’s estate. Unframed. More photos available.